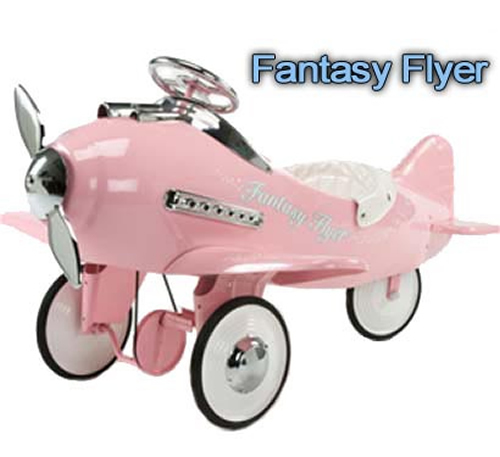 Full Description Pink Fantasy Flyer Pedal Plane - The Fantasy Flyer Pink Pedal Plane by Airflow Collectibles will make your little girl feel like she's flying through the air. This pedal plane is one cool ride. It will become a family heirloom to pass down for generations. 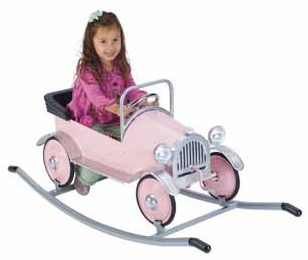 Our pink pedal plane is toy safety tested andfeatures an automotive powder coat lead free paint. 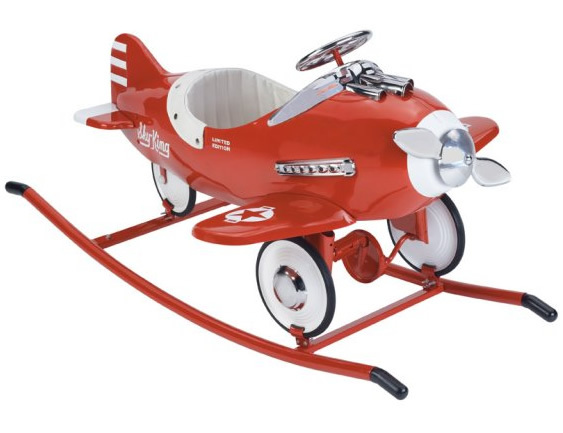 It features non-slip pedals, a padded and snapped seat, all steel construction, custom graphics, and a propeller that moves when the pedal plane is pedalled. Minor assembly required.